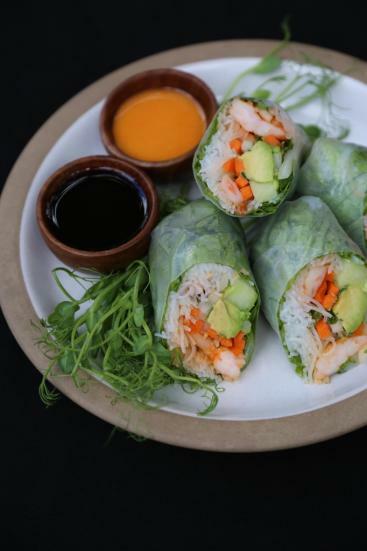 Bring Novo Restaurant & Lounge home with you by making their delicious and fresh Avocado-Shrimp Spring Rolls. Check out the recipe below and then try them for yourself during Restaurant Month January 2017. Saute the shrimp in canola oil. When halfway cooked, drain the excess liquid. Strain and rinse with cold water. Once cooled, coat with sesame oil so they won&apos;t stick together. Will hold for no more than two hours in refrigerator.